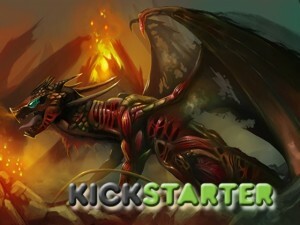 Terathan made it to their funding goal on Kickstarter with 10 days still to go. That means Stretch Goals. Awwww yeah. All I can say is we some happy folks over here :) .. Working on next update, offering painted minis and more updates on the Massive 120mm Dragon being sculpted. ** Side note, the miniature molds for casting are being made as I type this message, so look for an update soon on its status. We want to THANK everyone at KickStarter for supporting our miniatures and as of today, WE ARE 100% FUNDED!! I can say there is nothing but huge smiles and jumping for joy around here. Best part is there are still 11 days left and some really cool Stretch Goal miniatures awaiting some love :) As a celebration for this milestone of 100% funded, we are now offering 2 new reward levels for your miniatures. First will be 1 Pewter miniature of your choice, professionally painted, and delivered to you for $50.00. The painting work that will be done on these miniatures will be nothing short of spectacular. Lots of time and effort will be given to each miniature and the detail will blow your mind.